旧社名（英）：Shinemon Kiln Co., Ltd.　→　新社名（英）：Shinemon Inc. 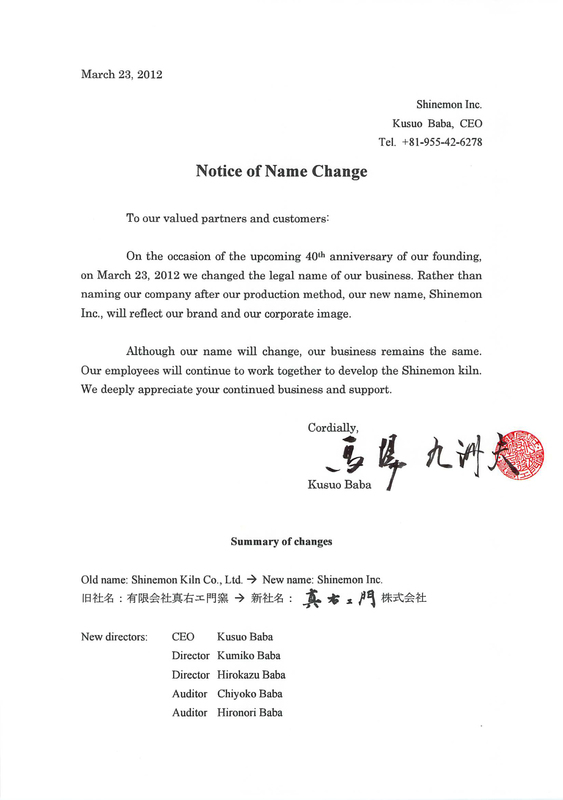 Copyright (C) 2010 Shinemon Kiln Co.,Ltd. All Rights Reserved.